Your customers are gearing up to spend money. As the thermometer heats up, so does our spending habits. “We hibernate quite a bit during the winter months and I think we have a tendency to come out swinging,” says Silvio Stroescu with Tangerine. SpeedPro Imaging, the nation’s most trusted marketing resource, wants to make sure business owners are in the right frame of mind as summer approaches. Think about what Silvio Stroescu is saying in that previous paragraph. People see the summer as a season to be a little bit more nonchalant about their spending habits. Need more proof? In a 2015 reportfrom Experian, 72 percent of millennials surveyed revealed they knew they were going to overspend on vacation before their bags were packed (meaning local business owners in those towns benefit greatly). What are you doing to accelerate awareness and ultimately sales as your target audience prepares to spend more three weeks from now? Here’s the encouraging news; your business doesn’t have to be linked to tourism to cash in on the season of fun…and SpeedPro Imaging, the nation’s leading printing and graphics franchise, can help. Apartments – When it comes to moving, Summer0 is the hot season. Between college graduations or families transitioning to a new role in a new city, Americans are on the move this season. 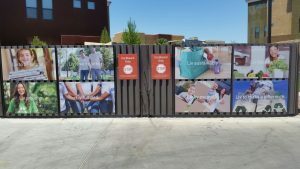 Reel in those potential new residents with astounding outdoor signage that promotes your fantastic leasing options. Auto Dealers -The summer season is traditionally strong for auto dealers. 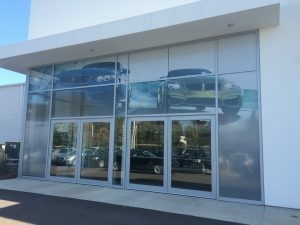 Our bold window graphics will highlight the “can’t miss” specials inside your showrooms along with the service department deals aimed at keeping drivers safe and sound while driving to their vacation destination. Breweries –There’s no denying the popularity of breweries. Let us help you strike while the iron is hot. You’ve built that gorgeous outdoor patio. Now it’s time to show it off. Our vivid and graphically intense banners will help accentuate that party atmosphere that will keep the beer flowing for all four seasons. Festivals – We’ve previously discussed what the warmer weather means for festival event organizers. The sun will be blazing, but you’ll be protected from the elements with your dynamic and customizable event tents. No matter the size or shape, your beautifully branded event tent will attract the audience and attention you are seeking. Restaurants – American’s love to grill. 75% of U.S. adults own a grill. But it’s safe to assume they won’t be behind the flame every single night. Just as they were on Cinco De Mayo, local residents will be searching for great places to eat all summer long. Let’s take advantage of their senses. We’ll allow you to capitalize on smell and taste. Let us focus on sight with imaginative teardrop flags that will capture the essence of your brand. Schools & Universities – School may be out for summer, but learning is year-round. There’s freshman orientation on the collegiate level. Our stunning event graphics will help welcome the Class of 2021. 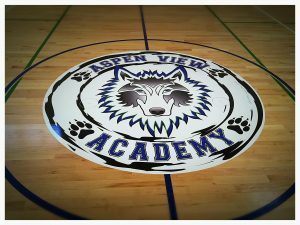 For primary and secondary education, let us show you how our wall murals and decals can spruce up your schools and increase recruitment/retention without breaking the bank. From the $18 billion-a-year summer camp industry to the movie theaters playing host to the lucrative summer blockbusters, to the air conditioning repair service technicians who will be in hot demand, SpeedPro Imaging can and will help any kind of business and business owner looking to capitalize on the summer season. The categories are endless, just as the graphic solution possibilities when you team up with SpeedPro Imaging, the nation’s most trusted marketing resource. Enjoy your Memorial Day weekend. But on Tuesday, let’s talk business. Summer is fast approaching, but it’s not too late to build a successful plan that will have your profits heating up faster than the feeling of hot sand on the sole of your feet. Visit www.speedpro.com and check out our locations page. Type in your zip code to find the SpeedPro Imaging franchise owner closest to your business and let’s get to work!